The ride to New Orleans was short and easy. Once I got to Baton Rouge it was also one of the most interesting in terms of scenery (at least for a while), riding on bridges crossing rivers, swamps and lakes. I arrived around noon with lots of time for some R&R. 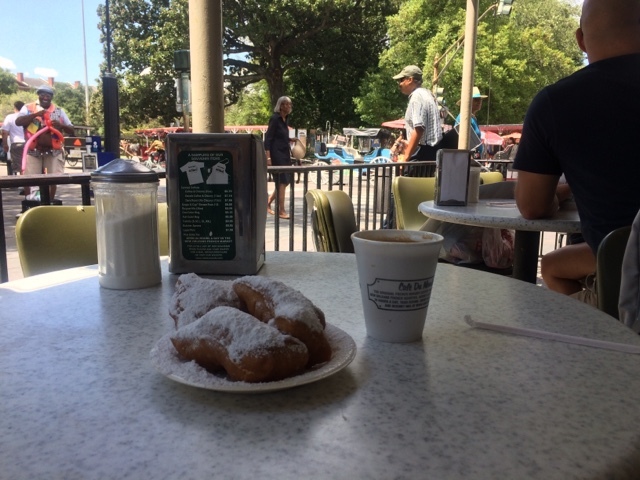 I headed straight for Cafe du Monde. They’re famous for their beignets. I had 6. 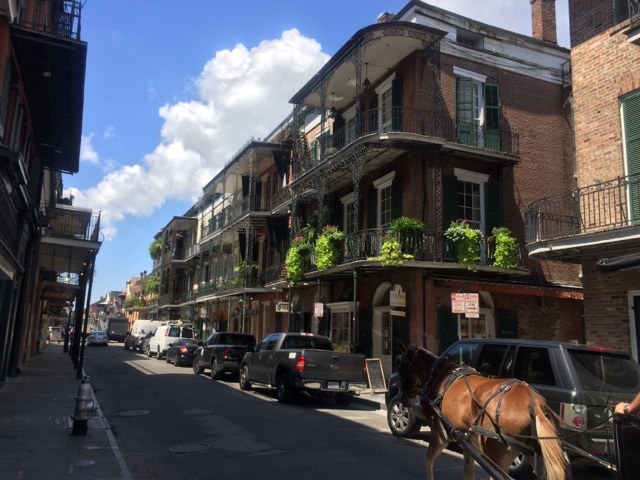 Later I checked in at a quintessential French Quarter hotel, where I immediately took the opportunity to cool off I the pool. 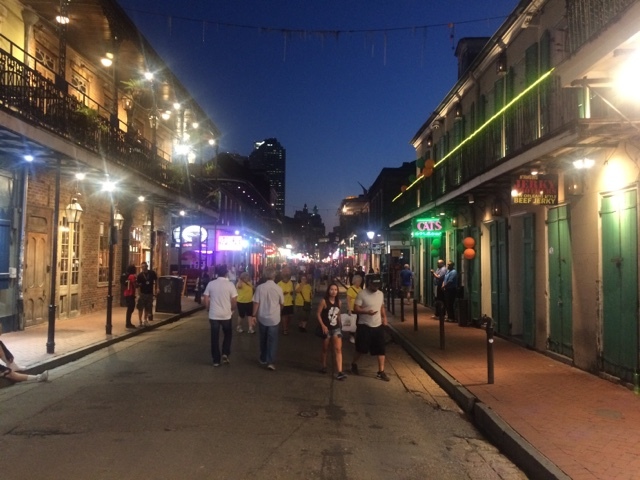 Then it was off to party at the famous Bourbon Street. It was just a Thursday, but Bourbon Street was a happening place, I can’t even imagine what this place would be like during Mardi Gras. Live music, streets crawling with people and lots and lots of alcohol. This place is more dangerous than Las Vegas. Rain and thunderstorms are forecasted for the weekend, so tomorrow I’m pointing back north. With my detour here, I’ve now got 1,100 miles to go. Time to cover some miles.